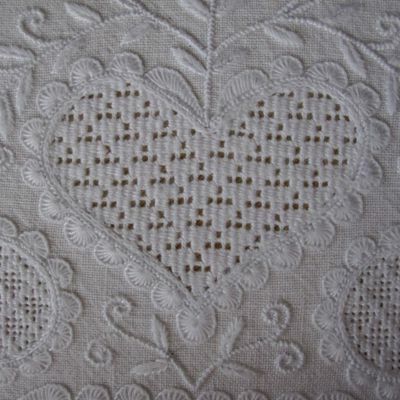 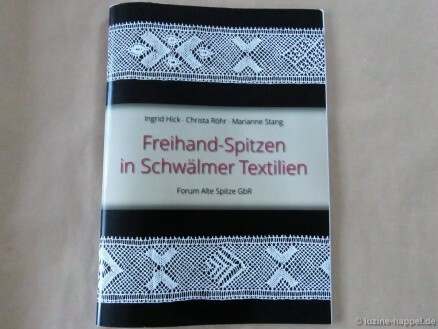 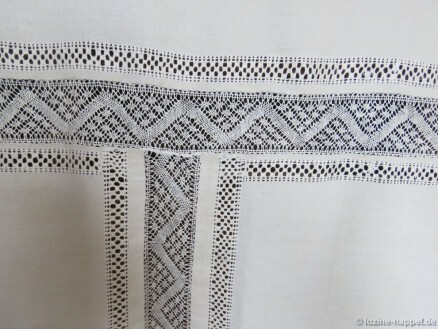 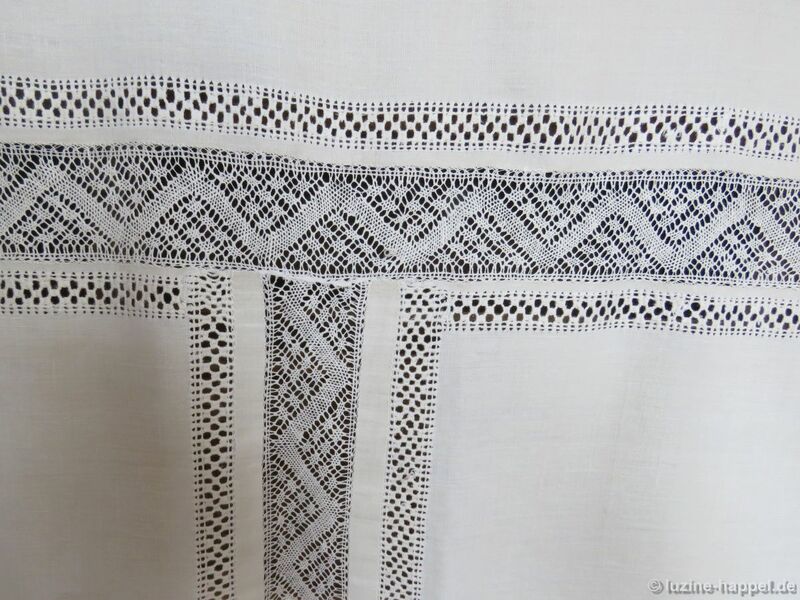 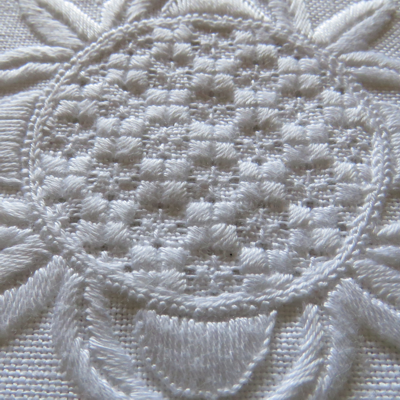 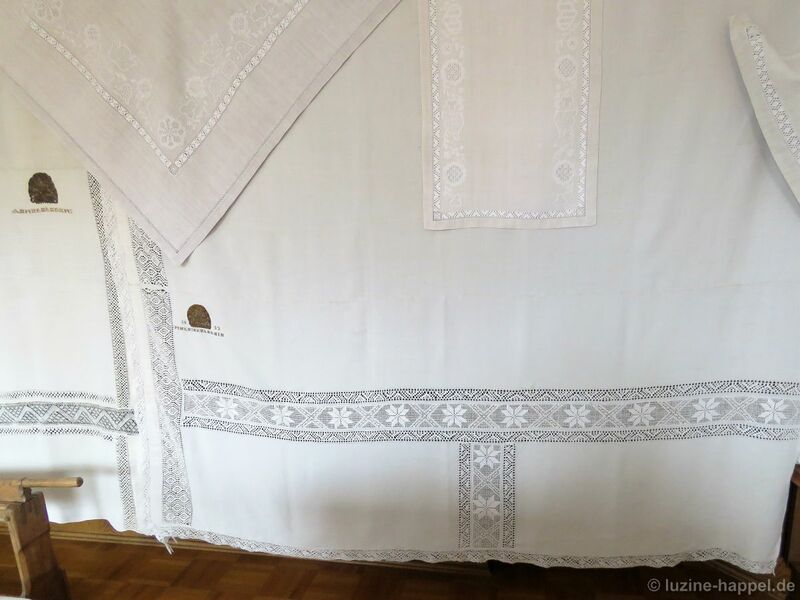 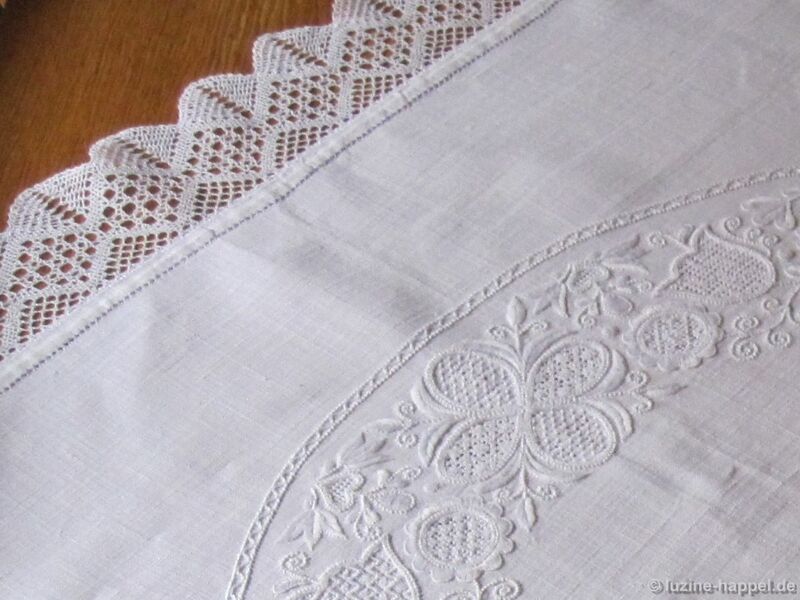 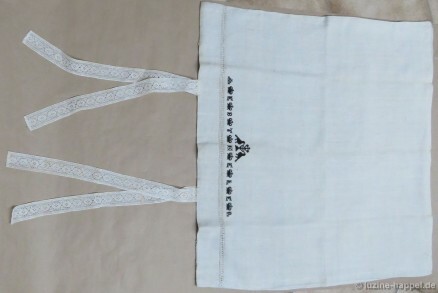 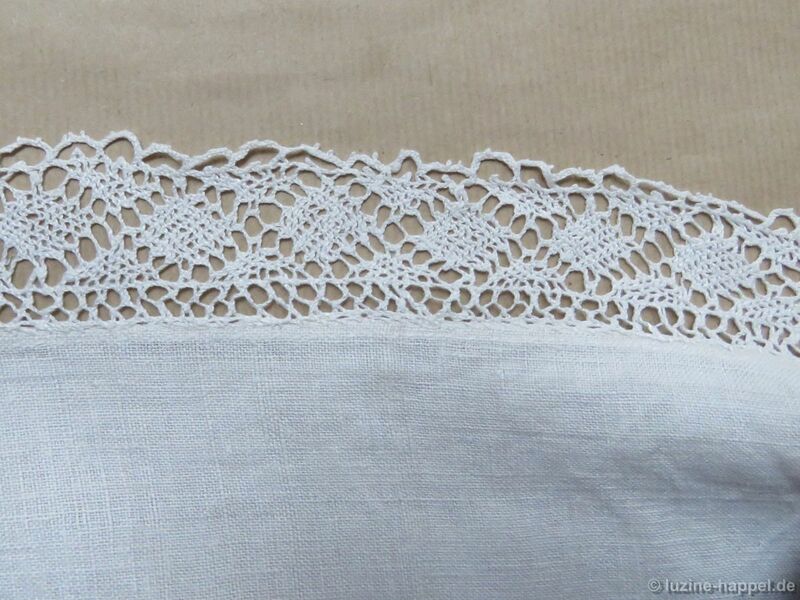 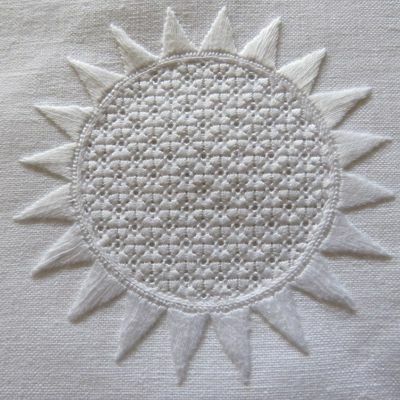 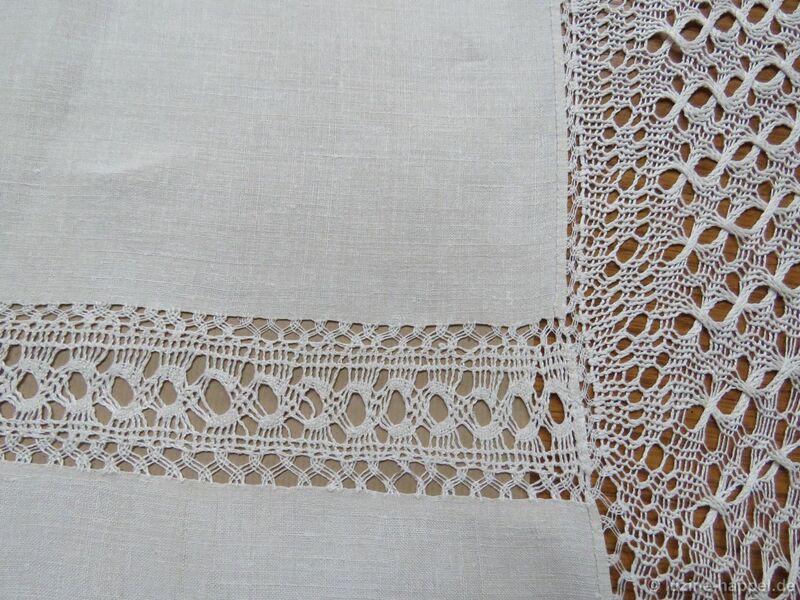 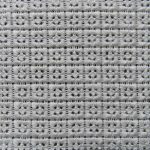 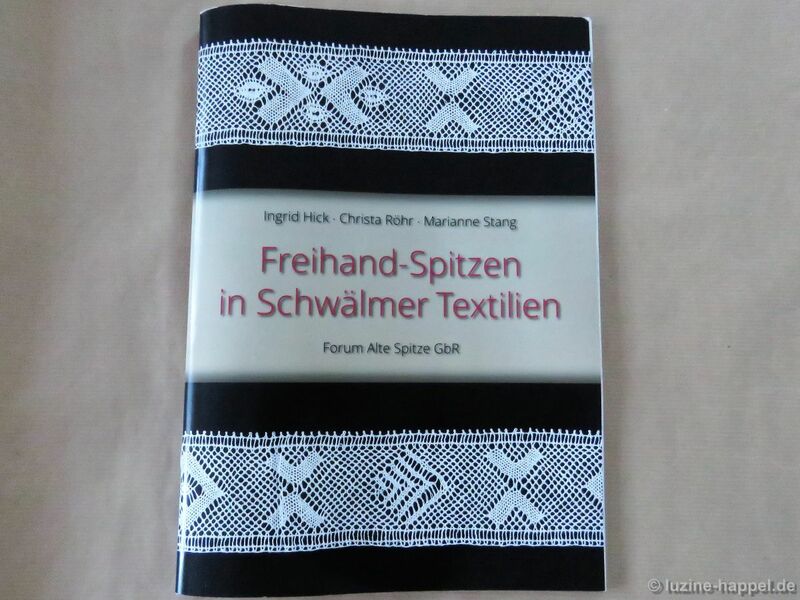 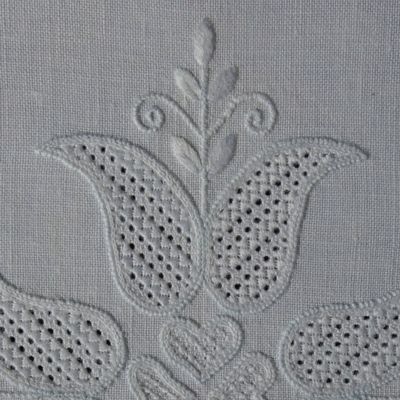 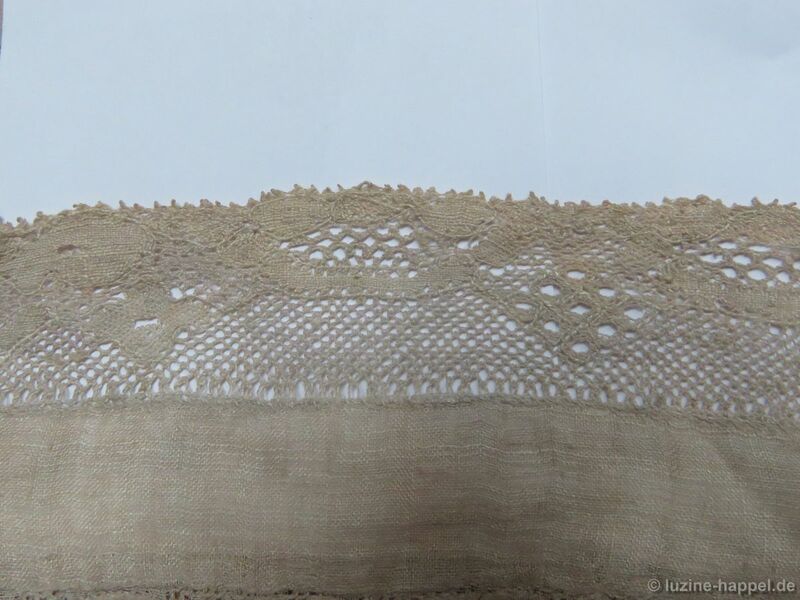 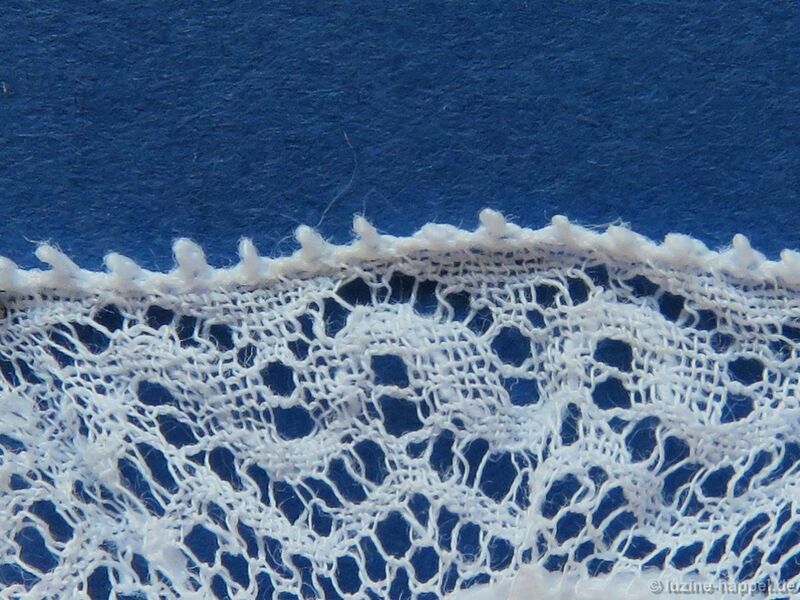 In the article Bobbin Lace in the Schwalm (1) you saw the different garments and linens that included bobbin lace. Now please enjoy a closer look at the different bobbin laces. 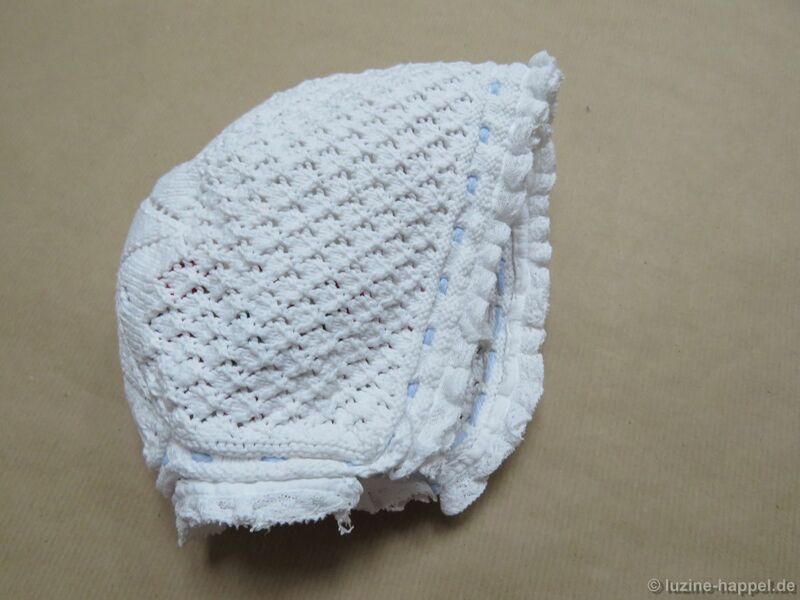 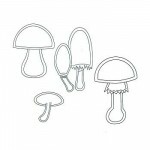 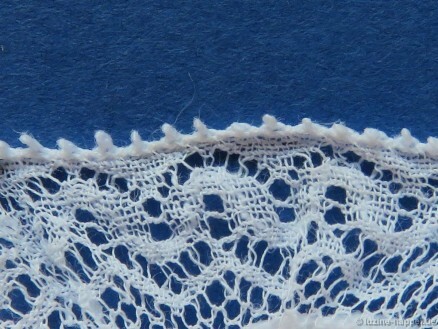 The finest and smallest bobbin laces were those found on knitted baby caps. 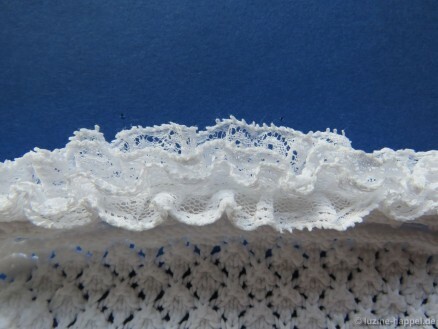 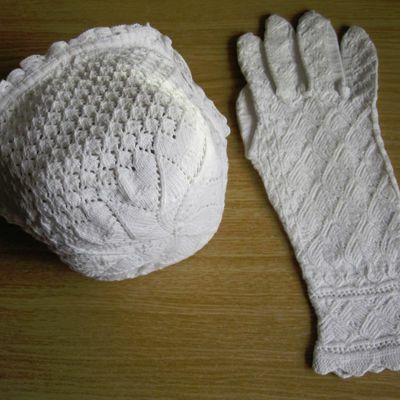 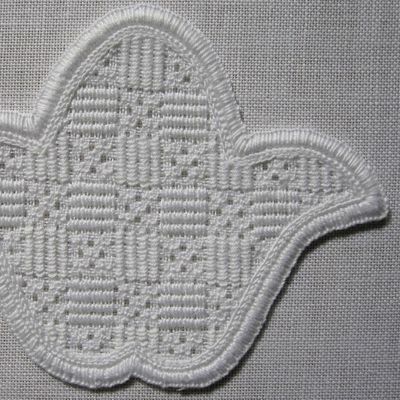 Four bobbin lace edgings were tightly gathered and sewn at the edges of knitted baby caps. 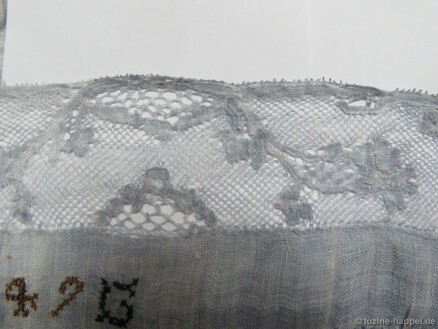 1.5 cm wide bobbin lace found on a baby cap. 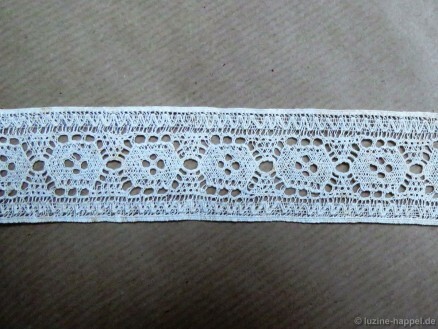 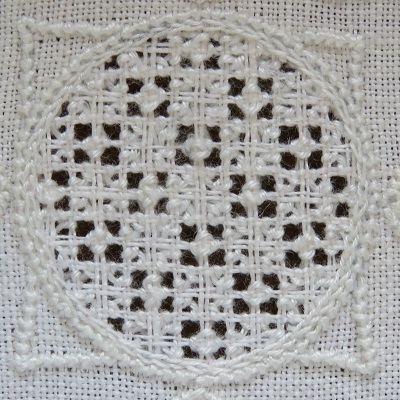 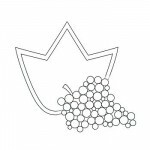 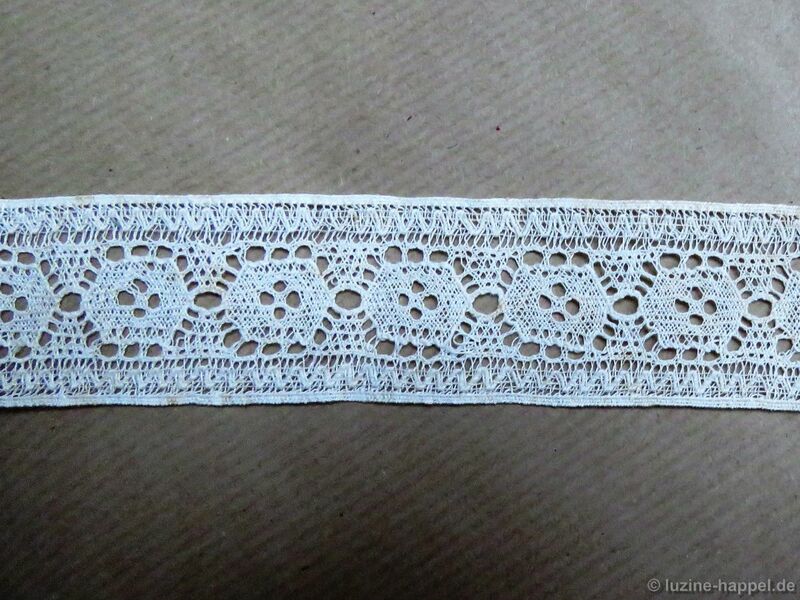 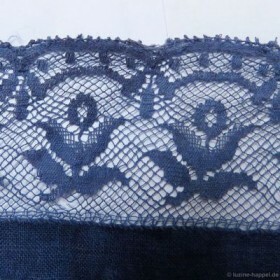 It seems that picots were added after finishing the lace. 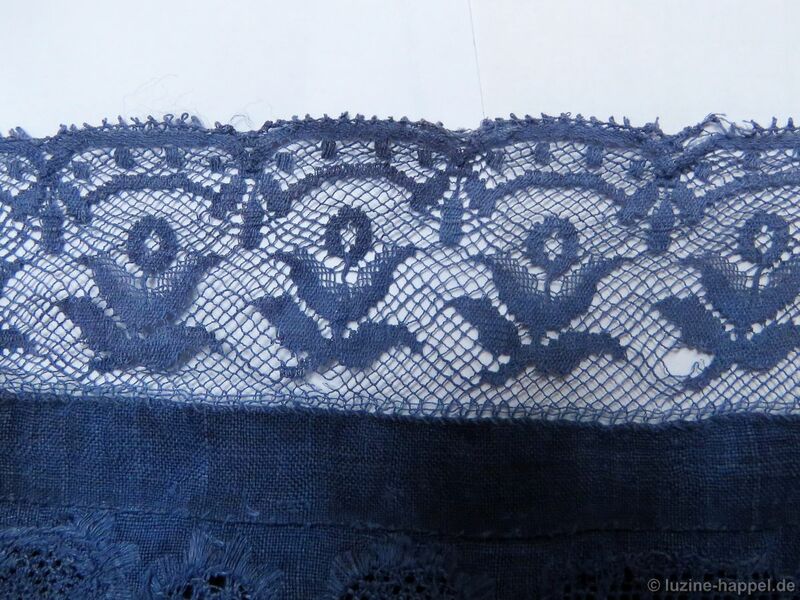 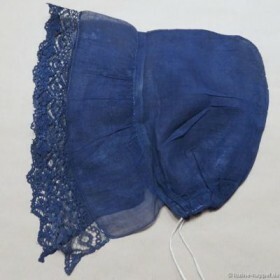 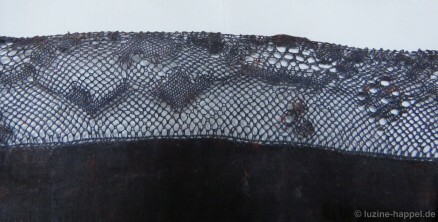 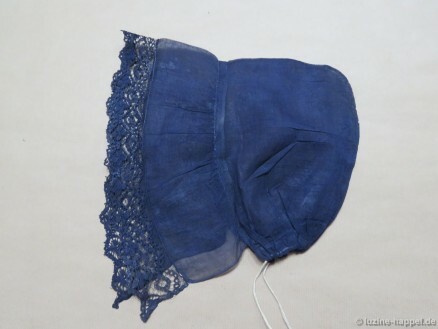 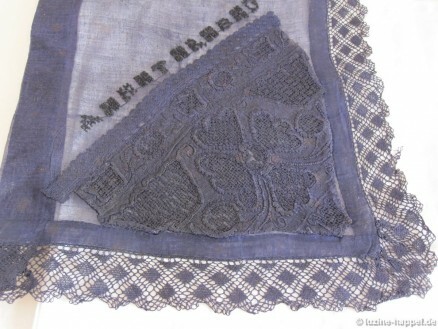 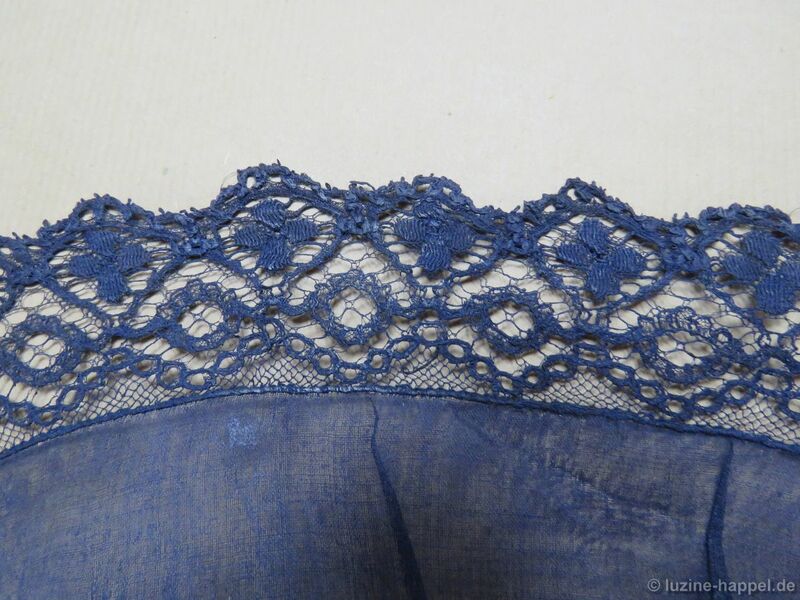 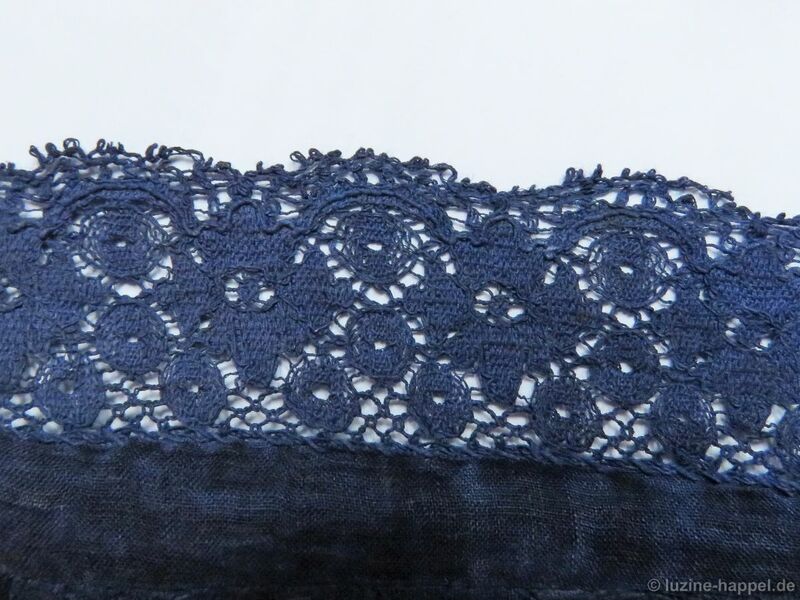 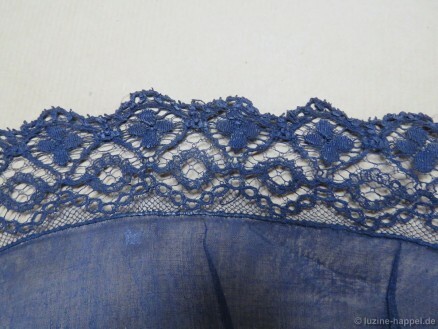 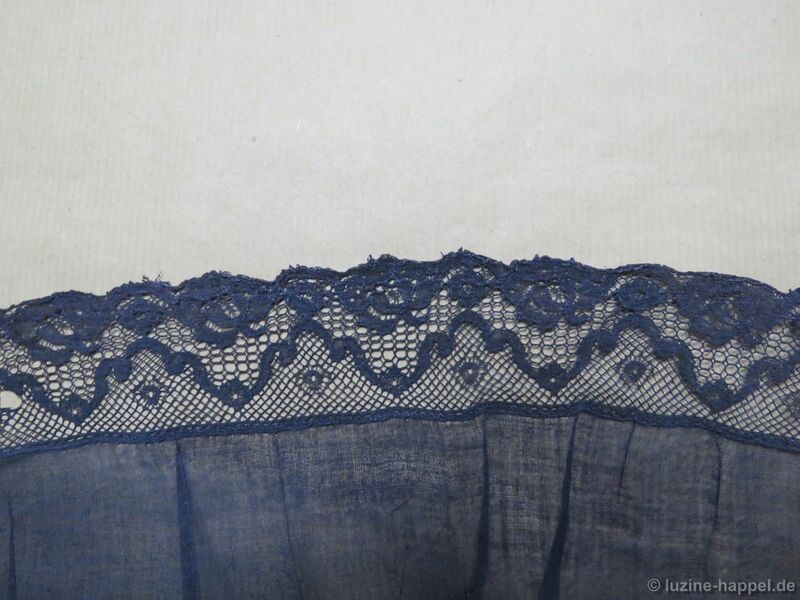 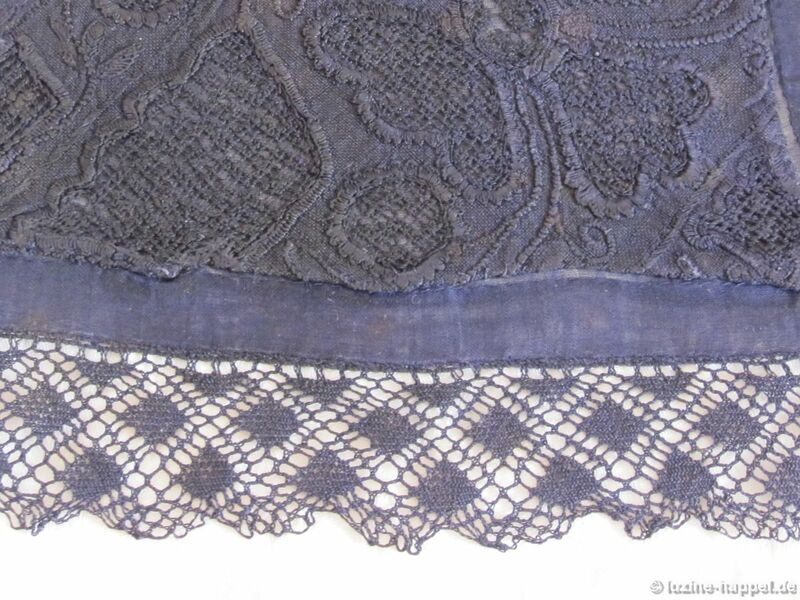 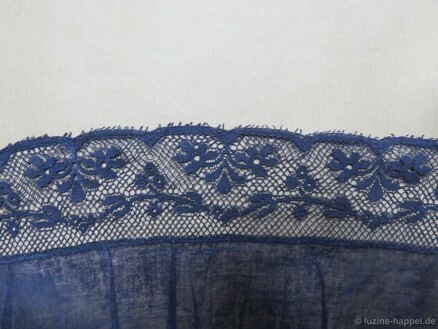 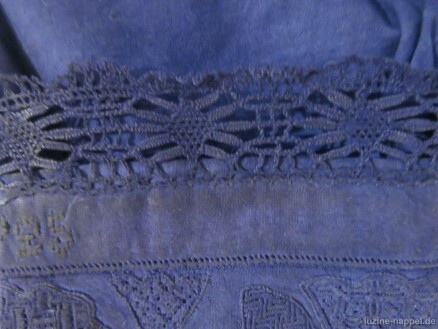 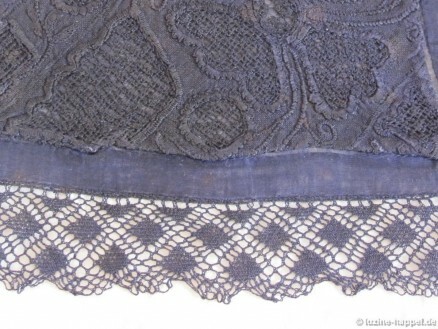 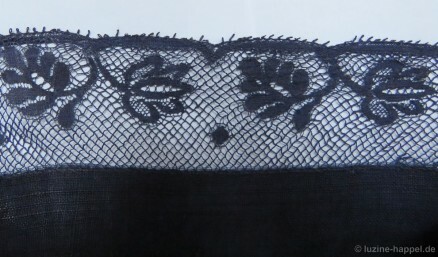 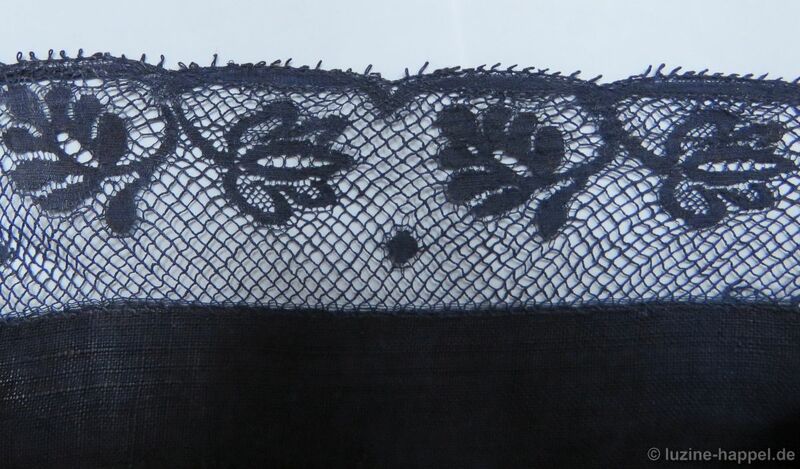 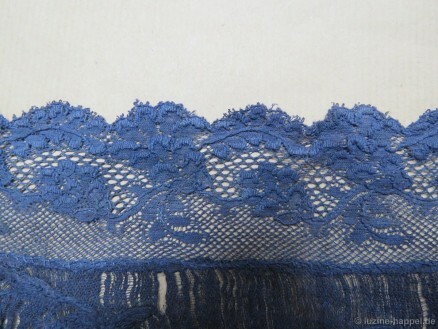 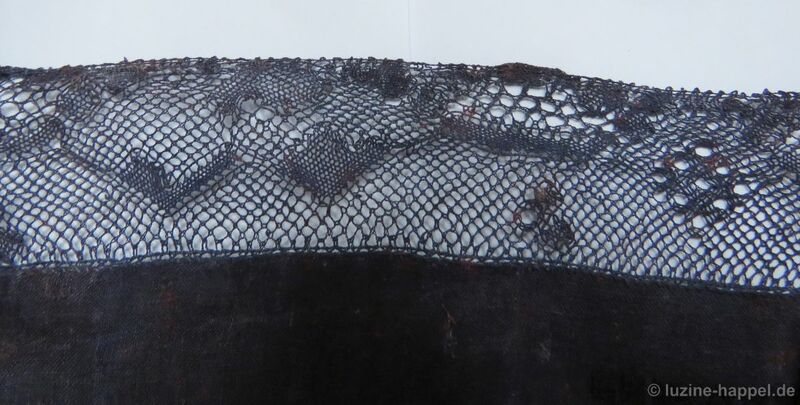 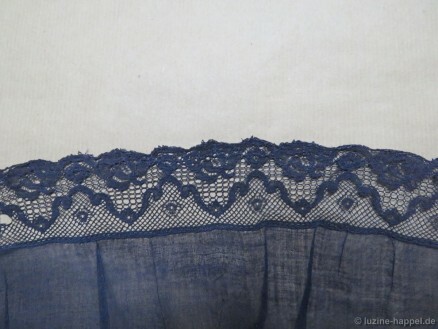 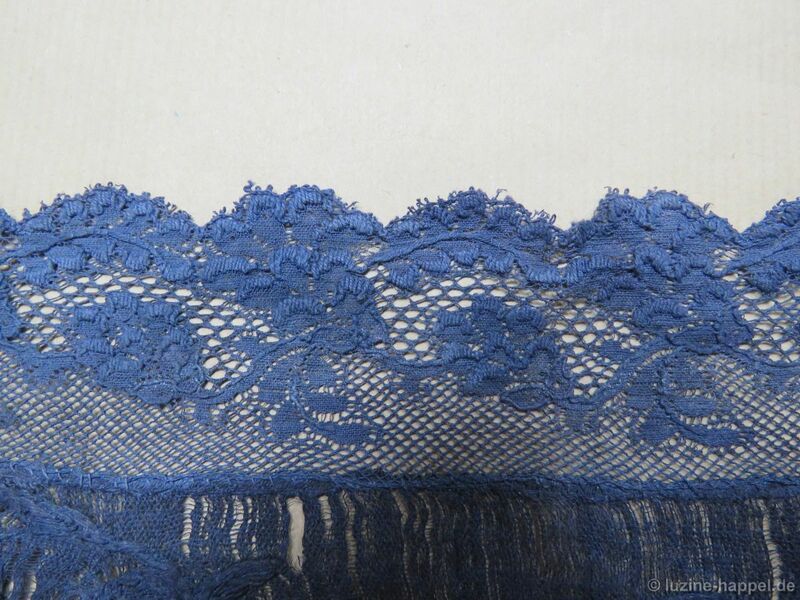 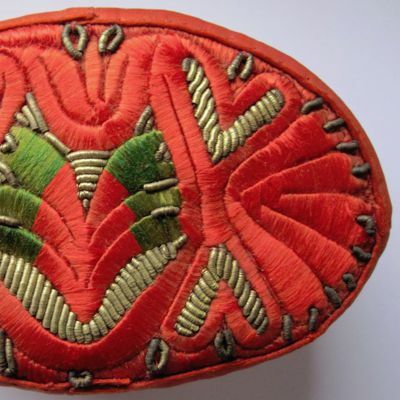 3.5 cm wide bobbin lace found on a dyed-to-blue Schwalm bodice for a girl. 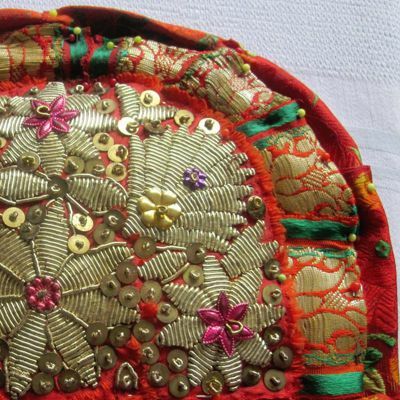 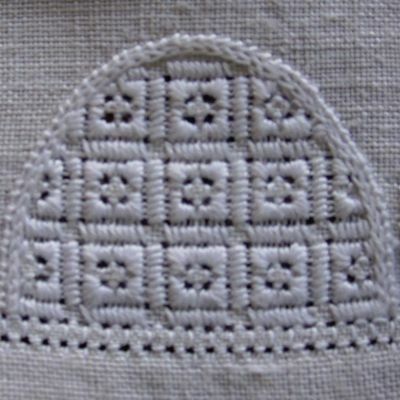 The bodice was made from linen cambric and finely embroidered. 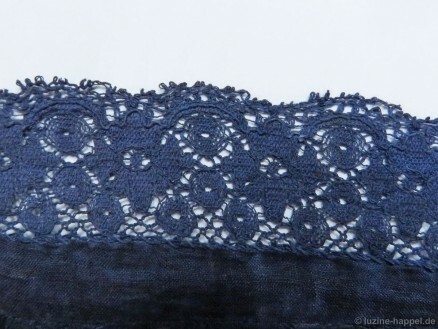 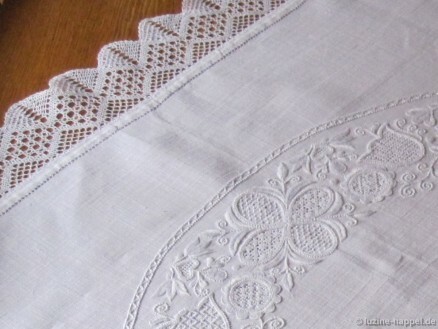 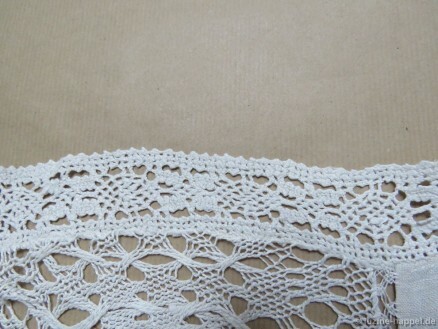 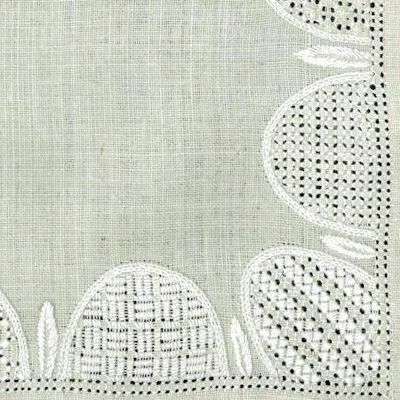 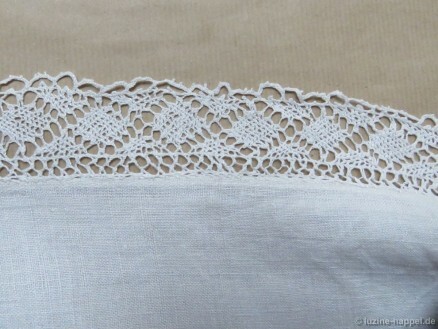 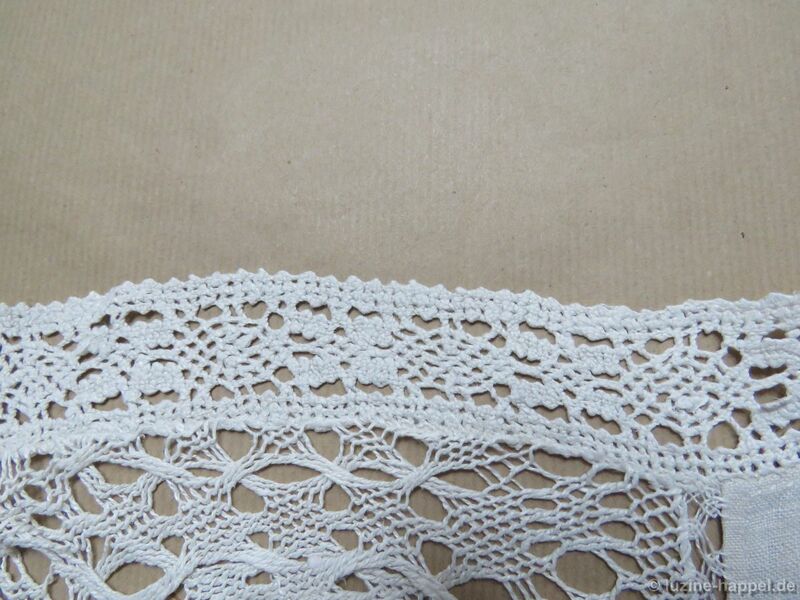 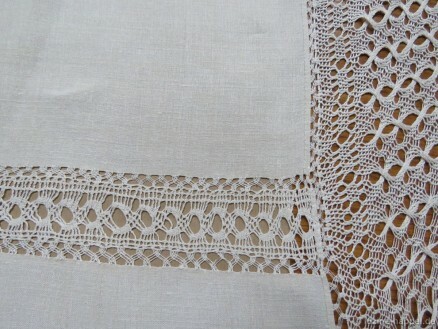 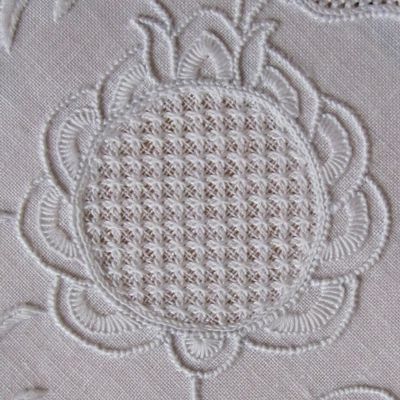 In contrast to the fineness of the fabric and embroidery, the bobbin lace is rather dense. Also interesting here is how the lace band was attached with Plaited Insertion stitch (also known as Interlaced Insertion stitch). 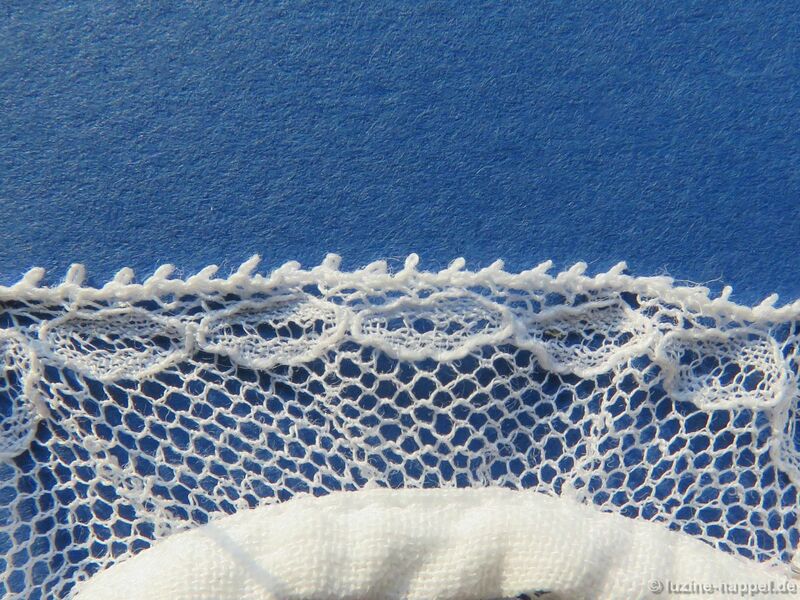 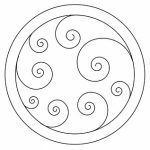 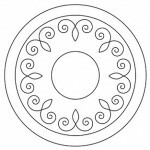 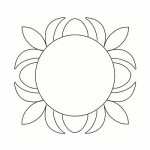 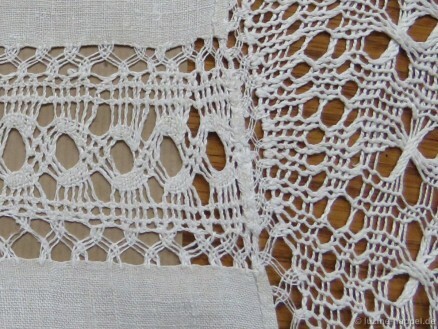 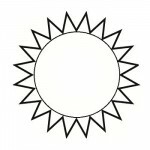 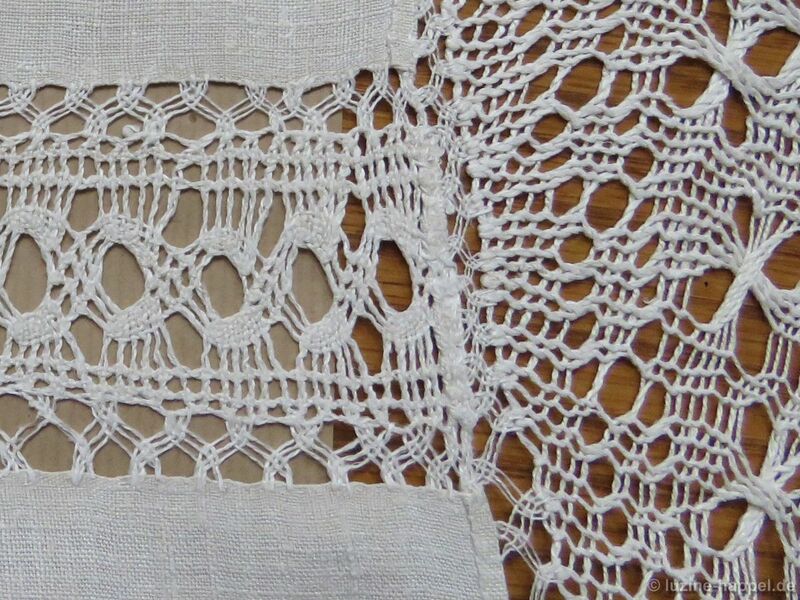 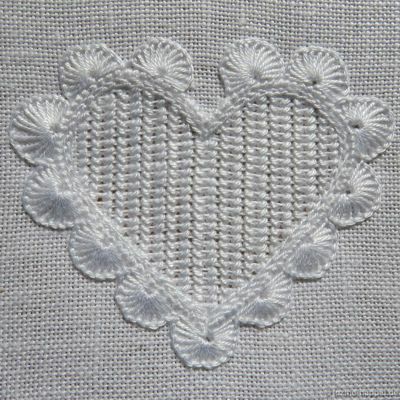 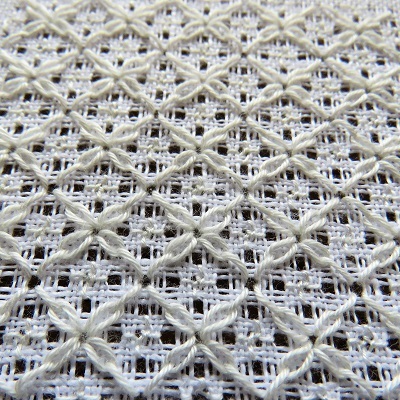 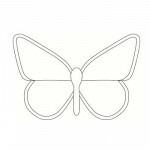 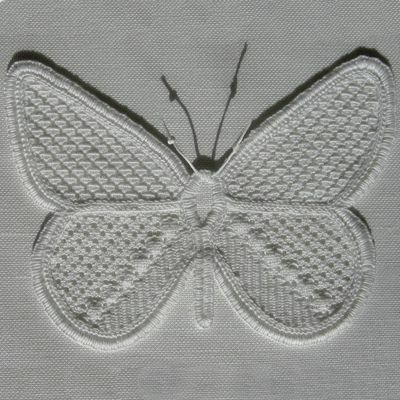 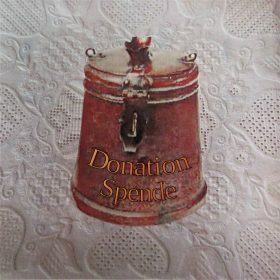 There are a wide variety of different types of bobbin lace and bobbin lace patterns used in Schwalm.